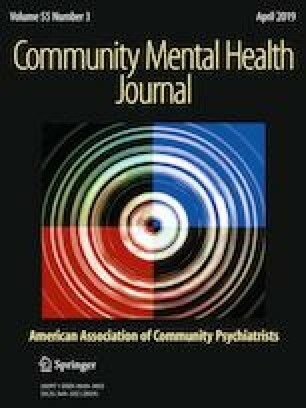 Stigmatizing attitudes towards people with mental illness is a worldwide phenomenon, This Longitudinal study aimed to determine the level of stigma, among the internal displaced persons in central Sudan and explore possible changes in stigma associated with an intervention. 1549 persons were interviewed using standardized stigma attitude tools. The study reveled high level of stigma among our respondents and there was no significant difference in attitudes towards mental illness observed after the intervention. The intervention was not associated with change in stigma. However, the findings can inform policy to create sustainable national mental health strategies to address the stigma. Our sincere thanks go to all those who contributed to this study, especially the IDPs in the two study areas, and the local community committees for their collaboration. Our gratitude is also extended to the clinical psychologists who collected the data and contributed to the community psycho-education and the Khartoum University staff members, the Ministry of Health at both the federal and state level and Prudence and Grace who assisted in improving the language in the manuscript. The project was funded by Oslo University: Division of Mental Health and addiction, Quota scheme and Faculty of Medicine. No conflict of interest stated. Written and voluntary informed consent was obtained from all participants. Lemeshow, S., & Hosmer Jr, D. W. (2005). Logistic regression. Encyclopedia of Biostatistics, 4. https://doi.org/10.1002/0470011815.b2a10029.